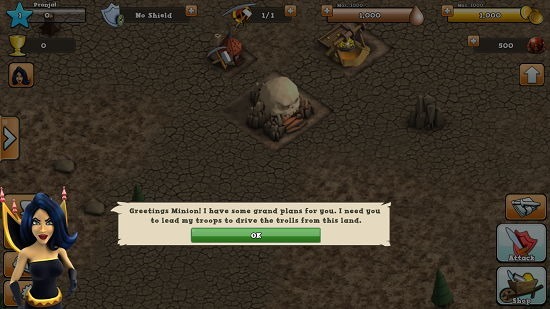 Hugo Troll Wars is a nicely designed strategy game for Windows 8 and 8.1 devices. 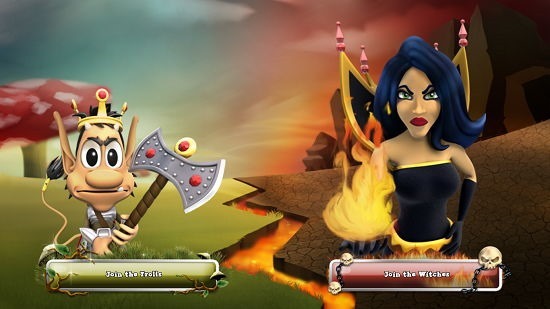 When you run the game on your device, you will be shown a screen where you can choose to join either the witches or the trolls, and once you have chosen your team, you will be taken to the main menu of the game where you can then go ahead and enter you name with which your player profile will then be created. The game is lightweight considering its graphics, and in it, you have to build up buildings like gold mines etc. and at the same time keep recruiting troops and training them to become self-sufficient and be able to defend yourself comfortably. Hugo Troll Wars is available for free from the Windows App Store. When you run the game on your device, you will be presented with the below screen where you can choose to join any of the below teams. Once you have chosen the team, you will be taken to the main menu of the game after a brief loading period. Here, you can enter your name with which your profile will be created. Upon entering your name, you will be taken through a guided tutorial. You will be taught how to build stuff. To build stuff, you can do so by using the buttons on the bottom right corner of the screen. 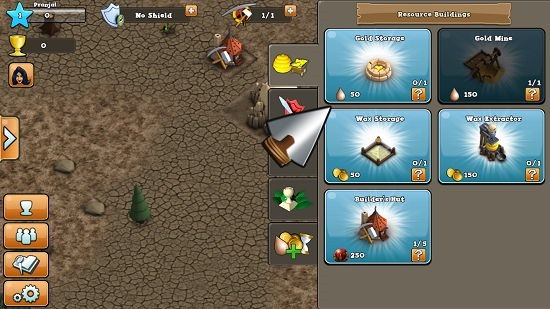 From the same menu, you can also recruit and train your army. 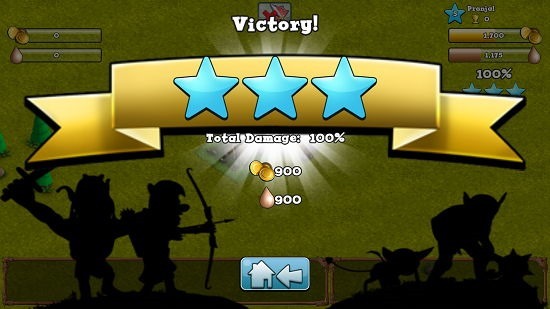 You can also launch an attack in a manner shown in the below screenshot. 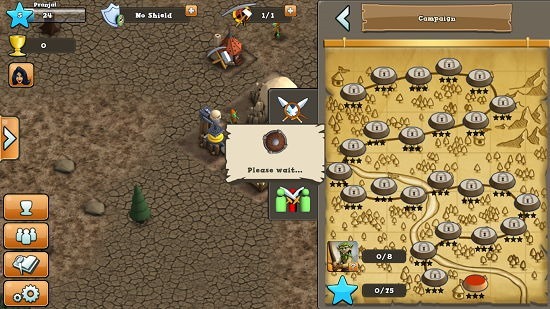 To launch an attack, simply click on the Attack button at the bottom right and then click on the red icon on the map which is visible in the screenshot above. Once the match has loaded up you will be able to see an interface which looks somewhat like the below interface. Upon completion of a match you will be shown your result in a manner displayed in the screenshot below. This winds up the main features of Hugo Troll Wars for Windows 8 and 8.1 devices. Hugo Troll Wars is a well-designed game for Windows 8 and 8.1 which makes for a great way to pass your time and stay entertained. You can get it for free from the link below.